ANDOR is pleased to present a solo exhibition of new sculpture and painting by London based artist Daniel Pasteiner. The exhibition is the first to take place in the gallery’s new venue inside a terraced Victorian house on Hackney Road. For his exhibition, THE INCREASE, artist Daniel Pasteiner has brought together a selection of new painting, continuing his exploration of a specific repeated and replicated abstract motif. Alongside large paintings Pasteiner displays smaller works made with cheap, disposable canvases. With their plastic packaging still intact, and with pieces of scalextric track and popcorn inserted inside, these artworks display Pasteiner’s interest in the odd combinations between the mundane and the domestic. The playful and nostalgic occurrence of objects is also evident in Pasteiner’s sculptures. Fridge tops are displayed as paintings whilst a defunct satellite dish provides a base for a sculpture. A shoe rack is given prominance, presented on a bespoke metal tripod, but is also adorned with a couple of old trainers. These changing methods of display and presentation, in both Pasteiner’s sculpture and painting, confront the oddities, the playfulness and the nostalgia, that different acts of displacement make possible. THE INCREASE also conjures a more serious tone. By questioning how different forms and objects are perceived Pasteiner plays with the inadequacies of the language we have available to describe them appropriately. The title of the exhibition acts as something of a harbinger, introducing, perhaps, a potential future danger to be averted. A process of unknowing ascent toward some form of apogean cataclysm, a potentially value altering event. In an age of economic, material and ecological suspense anything seems possible. The artworks, though aesthetically enjoyable and at times humorous, carry this sincerity, offering a contemporary response to the practice and the act of painting today and the continuing presence of the readymade. Daniel Pasteiner (born 1980 Kuwait City) lives and works in London. He graduated from Camberwell College of Art in 2002 and from the Royal College of Art in 2007. 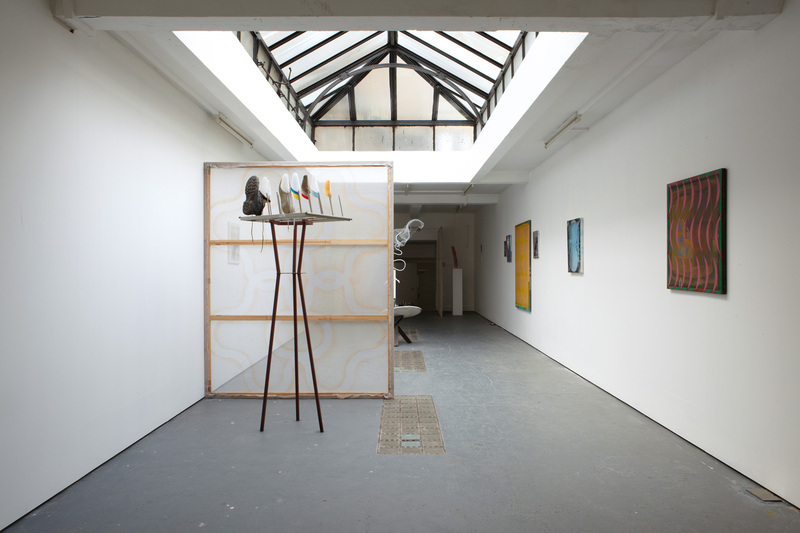 Solo exhibitions include Sculpture at The Blade Factory, A Foundation, Liverpool, 2009; Twilight in the Anti-World at Suzie Q & Bob Van Orsouw, Zurich, 2008; and Paintings of Colour at Rod Barton, London, 2008. Recent group exhibitions include Temporary Residency In The Unconscious, Art House Foundation at V22, London, 2012; The Garden of Earthly Delights, Napoleon Garden, Holland Park, London, 2011; Schau Fenster, Schau Ort, Zurich, 2010; Artschool/UK 2010, Cell Projects/Whitechapel Gallery, London, 2010; Stand Up, Cul De Sac, London, 2010; and Ventriloquist, Timothy Taylor Gallery, London, 2010. Daniel Pasteiner was included in the 2009 Artist Directory Younger Than Jesus published by Phaidon.